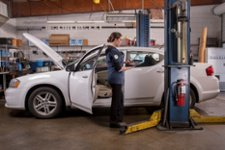 Following its successful launch earlier this year, the I-CAR® Sustaining Partner™ program is already providing value to the collision repair industry. Since that launch, the following organizations have joined the program: AkzoNobel; Autel Diagnostic Intelligence; Auto Club Enterprises; Car-O-Liner; CCC Information Services, Inc.; Chief Automotive Technologies; Collision Advice; Farmers Insurance; Intrepid Direct Insurance; LKQ Corporation; Polyvance; Precision Equipment Systems, LLC; and Pro Spot International Inc. Numerous additional organizations that have recognized the value of the program and expressed strong interest are expected to join shortly. The Sustaining Partner program was developed to more fully engage insurers, OEMs, service providers and suppliers in supporting I-CAR’s vision and mission while recognizing the value that I-CAR creates for the industry and their specific organizations. In return, Sustaining Partners enjoy a broad portfolio of products, services and benefits that are relevant to their businesses. Additional information about the benefits of the Sustaining Partner Program is available at www.I-CAR.com/SustainingPartners.